Physicist Dr. Michio Kaku and Spaceflight Historian Amy Shira Teitel Discuss Jack Parson – Zero Equals Two! 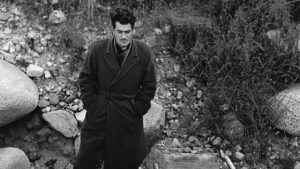 Part of the promotional efforts being made for the CBS All Access Strange Angels show – “inspired” by George Pendle’s excellent biography of pioneering rocketeer and erstwhile OTO member Jack Parsons is this video presentation featuring physicist Dr. Michio Kaku and spaceflight historian Amy Shira Teitel to introduce folks Jack Parsons. Have a look!